Please ask HIM in Christian charity and honesty ——-to tell all of us his honest answer-we want the truth of exactly why he did that! We want and NEED the Bishop to answer that question!! Father Christopher was guilty of nothing —–and Bishop KNOWS that! And those of us who know Father Senk know it, too! Marion McIntyre would never have wanted Father Christopher to suffer what he has been going through for the two years since her death!! 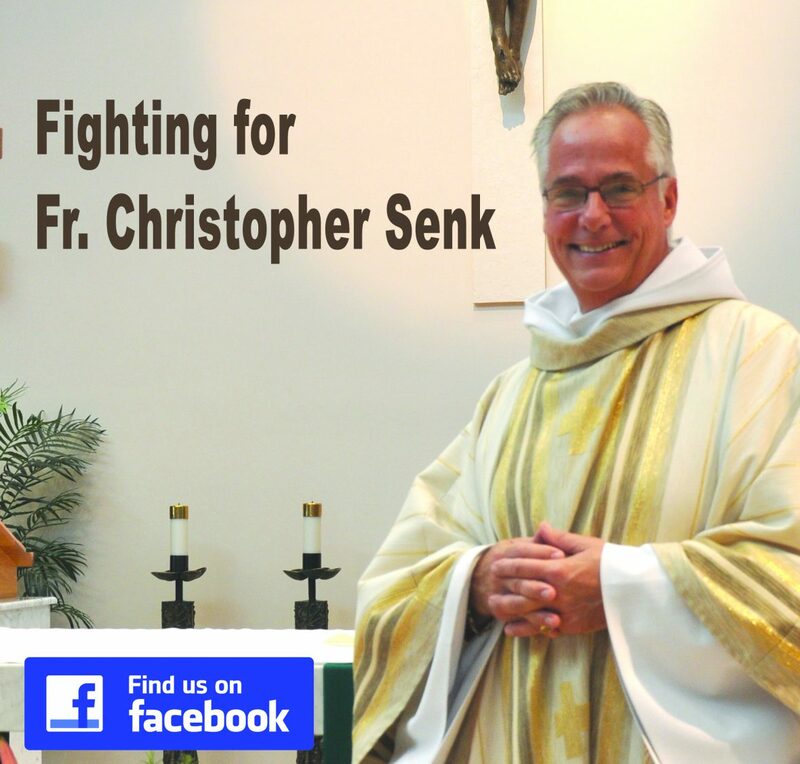 God bless Fr Senk and return Father to his full priesthood. Thank you to Marion for recognizing Father as a good pastor/priest and special friend! Please end this nightmare for this good priest who deserves none of what he has endured! Let us know the answer to that question ….once the case was dismissed why did the Bishop still use it to attack Father Christopher! We await an answer!